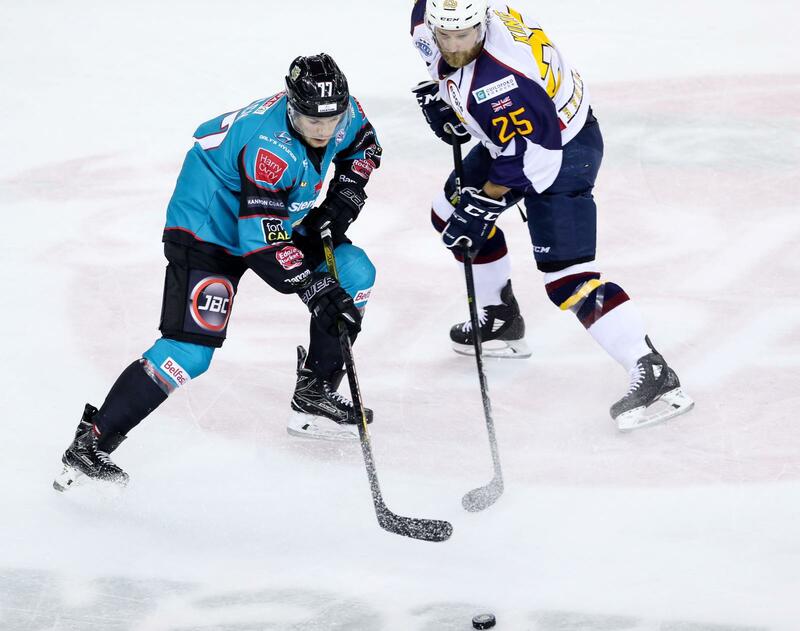 The Belfast Giants embarked into tonight’s game against the Guildford Flames with the desire to make it 8 points in a week in league competition. Jim Vandermeer and Colin Shields still out of the Giants line up through injury, while Brett Ferguson still hadn’t received his visa to begin his season with Guildford as yet. A cagey opening to the game witnessed Travis Fullerton’s goal being tested by Baun and by Ferland but the Flames netminder was equal to the examination. The FreeSports game of the week was a neutral zone battle for a lot of the first period before Curtis Leonard, fresh out of the penalty box, hammered a one-time slapshot from the point that ripped into the back of the Guildford net. However before the period was complete the visitors were level. Despite being shorthanded, the Giants conspired to lose the puck in their own zone and Ian Watters found Kruise Reddick in front of goal whose stickwork deceived Tyler Beskorowany and brought the Flames onto an even keel as the buzzer sounded to finish the first 20. The cagey approach to the game continued into a second period devoid of much excitement. 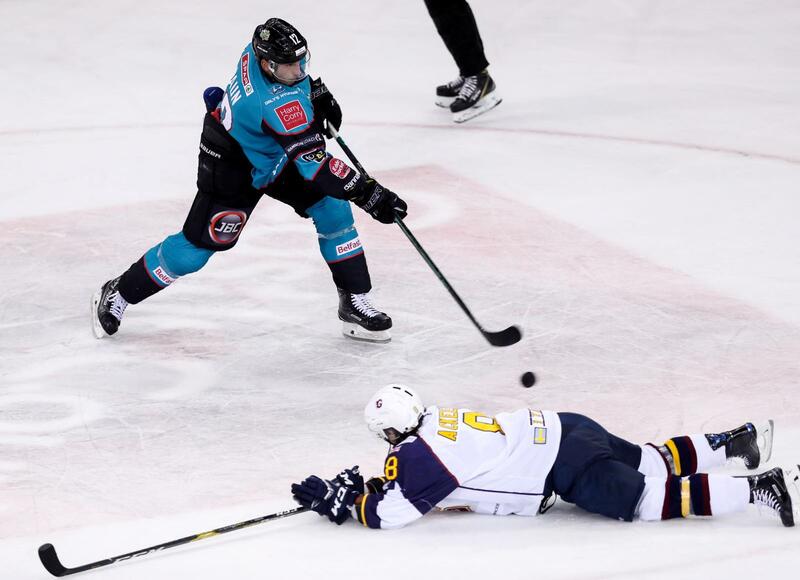 The Giants added to their tally with EIHL Player of the Week, and ESPN’s “Best Player In The World This Week” Patrick Dwyer, this time using someone elses backside, in this case Travis Fullerton, to score a goal. And early in the 3rd Jonathan Ferland increased the Giants lead to 3-1 with a nice finish. The Giants had their tails up. The real battle of the game was between the 2 men between the pipes, both former goalkeepers for the Edinburgh Capitals, both under seige by the superb attacking prowess of both teams. And the pressure on the Beskorowany told when on the Powerplay Jamie Crooks was able to give them hope. An untidy defensive play for the Giants but a 1 goal game insured and the offensive exchanges continued. 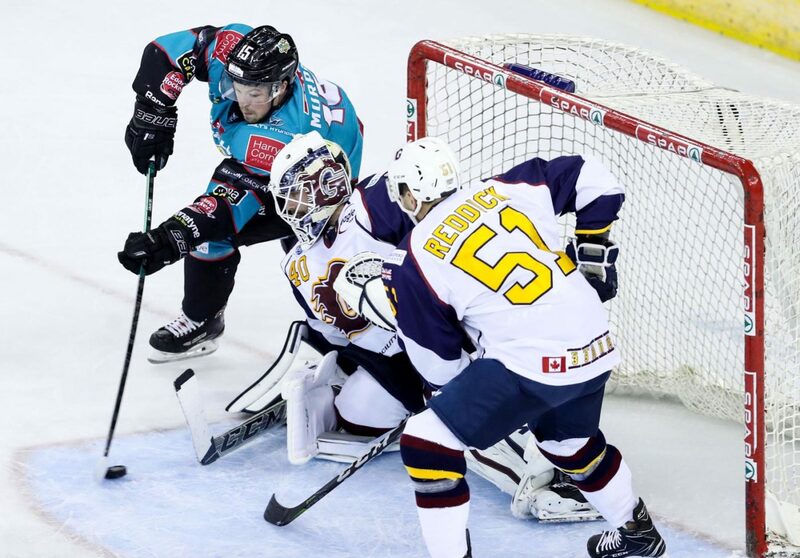 Fullerton was pulled for the final minutes but despite chances at both ends, including the Flames frantically barricaded their own net, there was no further scoring and the Giants took their tally for the week to 8 points, lifting the Giants from bottom of the EIHL to 2nd in that time. Next up the Giants travel to Braehead to face the Glasgow Clan in the Challenge Cup before returning to the SSE Arena looking revenge against the Nottingham Panthers. Podcast: Dwyer, Dwyer, Pants On Fire!